No matter what type of water or sewer pipes you may have in your home, eventually they will need to be replaced. After all, nothing lasts forever. 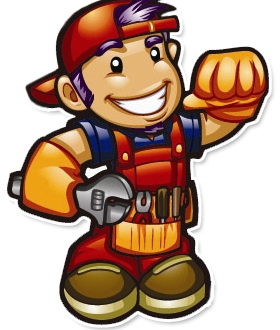 If you suddenly develop a plumbing leak, call The Drain Dudes® for an expert diagnosis of and solution to the problem. We can handle the aftermath of any of the following top 5 causes of pipe failure. Even the highest-quality pipe will degrade over time, especially if certain exterior stresses are present. For example, copper water pipes can become pitted after years of exposure to hard water due to the mineral content. These pits will eventually grow until they become pinhole leaks. Acidic soils can also eat away at pipes from the outside, and certain chemicals such as drain cleaners may also damage certain types of pipes. Excessive pressure can also cause pipes to fail, typically by placing extra stress on joints and welds until they eventually fail. High water pressure may also cause vibrations known as the “water hammer” effect every time the water supply is shut off, which can also eventually cause pipe connections to fail. Root clogs may cause a pipe to fail in several ways. First of all, the roots may penetrate through tiny holes or cracks in the pipe and then enlarge these weak points as they grow, eventually causing the pipe to crack open. Alternatively, the mass of roots growing inside the pipe, combined with the backed up water in the pipe, may create such pressure that the pipe connections fail. Another possible cause of pipe failure is a ground movement such as an earthquake or subsidence in a building lot. There is not much flexibility in a plumbing system so if the ground, slab, or wall encasing the pipes shifts, the pipe will break or bell. Either way, your flow will be impaired. Although most of southern California is immune to this problem, freezing temperatures are a top contributor to pipe failure in many regions. If you live up in the mountains you may occasionally be at risk for this type of pipe failure. 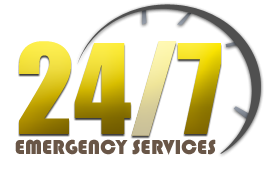 The Drain Dudes® can get failed pipes back in working order with minimal disruption and expense. 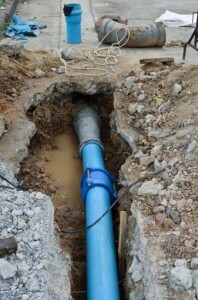 If the overall condition of the pipe is good, we can just replace the damaged sections to save you time and money. If the pipes failed due to age and multiple sections are at risk of failing in the near future, we can replace the entire line. Whenever possible we recommend trenchless techniques to minimize the disruption to aboveground structures and landscaping. In any case, we’ll make sure you get a high-quality new pipe that will stand the test of time and provide decades of reliable service.